You'll find sawdust on one of the main streets in Gorbio village. 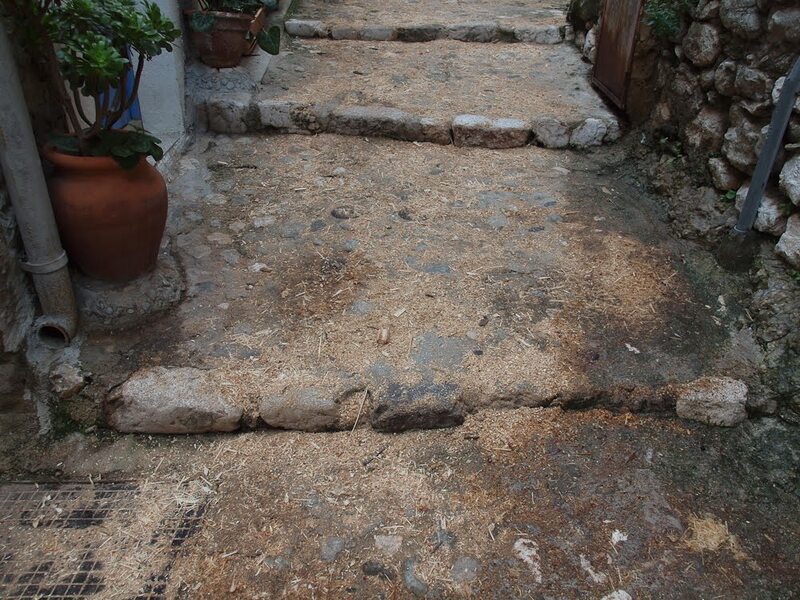 I've not seen this before but presume it's to stop people slipping on algae that has built up on the ancient stones - caused by the endless rain. que c'est pour empêcher les gens de glisser sur les algues qui se sont accumulées sur les vieilles pierres - conséquence de la pluie continuelle de ces derniers jours. Sawdust! That's an idea we could use on the slippery stepped streets in Jerusalem's Old City. Not a bad idea, If you have some sawdust left we could probably use it! Safety first! 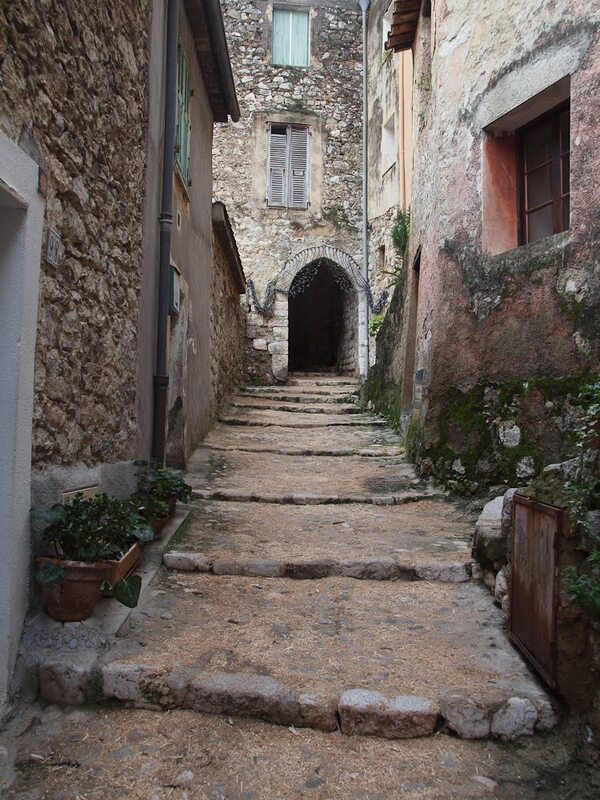 It's a terrific photo of a picturesque walkway! 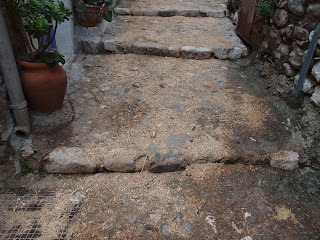 I saw sawdust on one of our cobblestone streets here and never thought it was meant to prevent people from slipping. Thanks! Peut-être une tradition ancestrale?..je ne connaissais pas non plus. A good idea, biodegradable and better then gravel or salt. A wonderful photo, pleasing to look at, good lighting and interesting composition and textual details. warm wishes on a wet day.